The T Slope is the green space on the Belgrade Avenue side of the Roslindale Village Commuter Rail Station surrounding the stairs from the lower station parking lot down to the street. 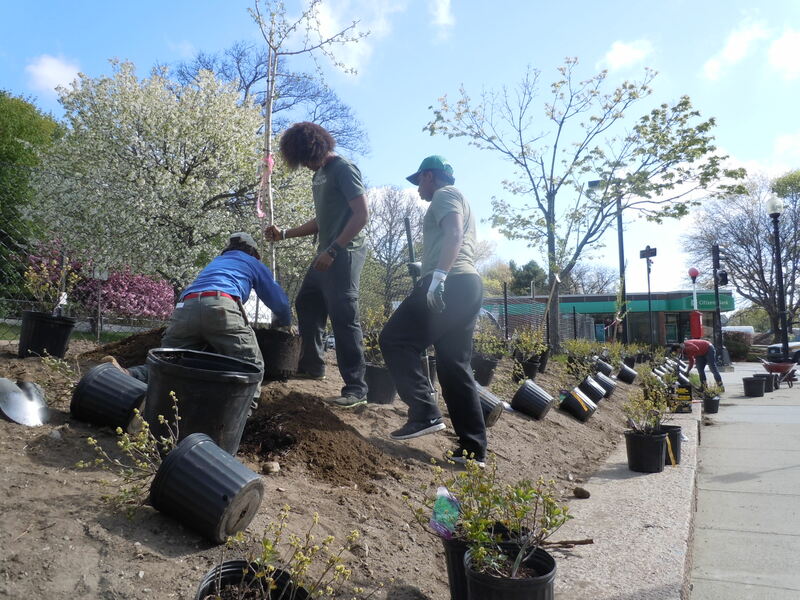 This previously nondescript area was replanted in 2013 thanks to a grant from the City of Boston Parks & Recreation Department and assistance from the Green Dragons. Gingko trees, sumac, and deutzia now make this space an attractive element of the Roslindale Village landscape.